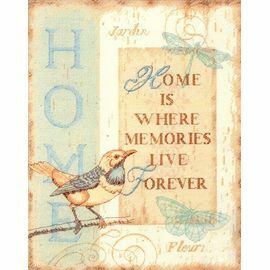 "Home Is Where Memories Live Forever". This wonderful pattern with blue and ecru clolours, just inspires us to come home. 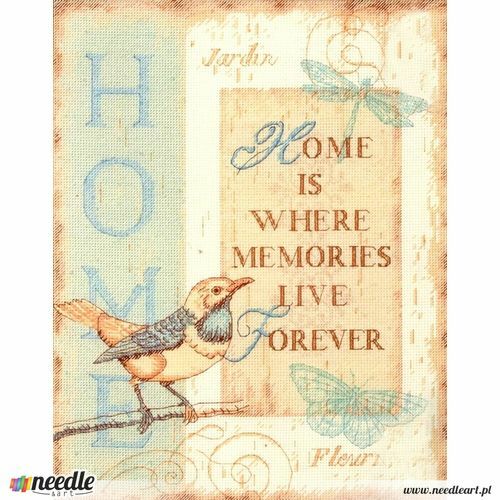 Kit contains: presorted cotton thread, 14 count ivory cotton Aida, needle and instructions.